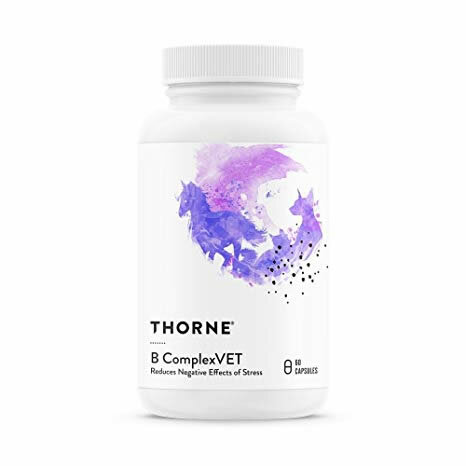 Home > Misc > See All Products > Thorne Research B ComplexVET - Vitamin B Complex for Pets - 60 ct.
B ComplexVet - new look! B ComplexVET for dogs and cats provides the entire B complex which helps convert food into energy and supports digestion and skin health. B ComplexVET consists of a group of eight water-soluble compounds: thiamin (vitamin B1), riboflavin (vitamin B2), niacin (vitamin B3), pantothenic acid (vitamin B5), pyridoxine (vitamin B6), cobalamin (vitamin B12), folate, and biotin. Although each B vitamin is chemically distinct, they often work together in various biochemical functions throughout the body – from cellular energy production to healthy red-blood-cell formation and healthy neurological function. 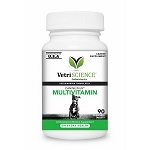 Supplementing with active B vitamins is extremely important to all animals, especially animals that may not be able to convert non-active vitamins to their active forms in the liver because of compromised liver function, poorly functioning enzymes, digestive disturbances, poor diet, or age. 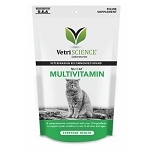 Providing these active cofactors enhances bioavailability, ensuring the animal gets a full complement of B vitamins. Animals that have been ill or that have a poor appetite may need extra supplementation. Makes a huge difference in performance dogs! Great product! I use it for my agility dogs to help them with stress during trials. Been very happy with their recovery time. They have more energy, too. 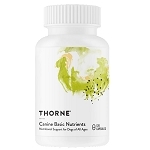 Thiamin (Thiamin HCl) - 110 mg.
Riboflavin 5’-Phosphate Sodium (Vitamin B2) - 18.2 mg.
Pyridoxal 5’-Phosphate (Vitamin B6) - 15.8 mg.
Folate (as L-5-Methyltetrahydrofolic Acid, Glucosamine Salt) - 400 mcg. Methylcobalamin (Vitamin B12) - 400 mcg. Cats: - 1/4 capsule daily. Dogs - 1 capsule for each 25 lbs. body weight daily.